Get Connected | Listen Free on Castbox. Mike Agerbo and Graham Williams discuss the latest tech news including how Paris firefighters used drones to investigate the extent of the fire at Notre Dame.We also discuss our exclusive hands on time with the new Samsung Galaxy Fold and chat with Terry Chen, Director of Product Management from Samsung Canada about the new device.Zoho software is an online suite of business and consumer products and we chat with them to get the low down about their latest products.Microsoft recently had a massive security breach and we discuss the extent of the breach and what you should do to protect your accounts.Our Alexa Skills segment features "Feel the Pressure", Graham's pick for a fun new trivia game for your Echo smart speaker. The Get Connected team travels to Paris, France to be there when Huawei unveil their latest smartphones and accessories. Mike Agerbo and John Biehler discuss the latest news from Apple and have a discussion with tech journalist and friend of the show, Ted Kritsonis, about all the Huawei product announcements. Mike and John also discuss their adventures using electric scooters around the streets of Paris.Graham Williams brings the Alexa Skill of the week with Live Smart, Work Smart. This week on Get Connected, Mike Agerbo and Graham Williams continue the conversation on our Wearables theme this month along with the latest technology news.Mike talks to Sukhmani Dev from MasterCard about the contact-less payment devices they are working on and the move from fitness to fashion wearables. Mike also speaks with Nik Badminton about his experiences having a RFID chip implanted in his hand. We take a look at devices from Nima that make a portable gluten and peanut allergy sensor so you can test your food on the go. This week on Get Connected, Mike Agerbo and Graham Williams chat about more wearable technology including the Upright GO, a device that reminds you about your posture and new shoe technology from local Vancouver company, Vessi Footwear.Mike talks with Dr. Sean Wormsbecker about "transhumanism" and whether technology can help you cheat death and as always, we talk about the latest tech news from the past week. 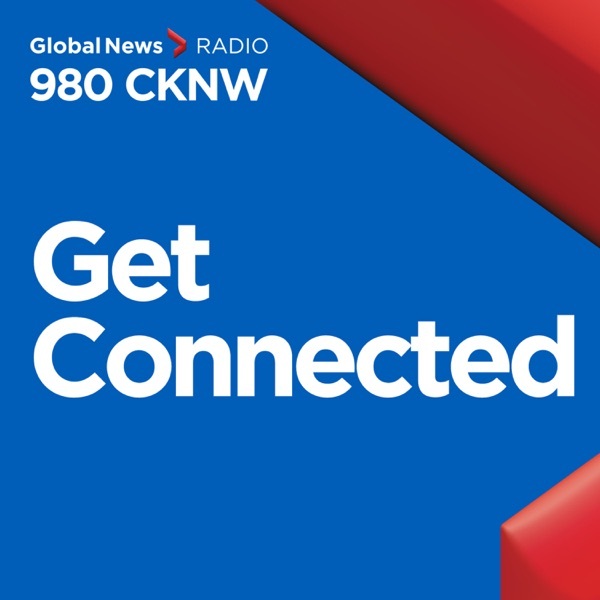 This week on Get Connected, Mike Agerbo and Graham Williams chat about wearable technology and the latest innovations in wearable tech. What is it? What can they do? Mobile World Congress is also on the agenda, with Mike recently returning from attending the much anticipated tech conference in beautiful Barcelona. The newest trend: foldable phones (two have already been developed by Samsung and Huawei! ).We also discuss recent pushes to move towards 5G technology in the market, Energizer becoming a mobile company, and what the growth of Huawei means for their business and international consumers. Wearable Technology, Mobile World Congress, Foldable Phones & More ! This week on Get Connected, we’ve got your Samsung updates. Mike Agerbo and Graham Williams chat about the hot new Samsung Galaxy S10 (boasting 5 cameras). We’re also joined by Ted Kritsonis to talk foldable phones, and what Samsung and Huawei have in store.We also discuss the top weekly tech news, including: Samsung announcing the death of the Blue-Ray player in the US market, and the re-launch of the Samsung Galaxy Buds. The Death of Blu-Ray, Samsung Galaxy Buds, Foldable Phones & More ! This week on Get Connected, we’ve got you covered for your weekly dose of tech news! Mike Agerbo, Graham Williams, and Bryan Jackson are in the studio bringing you an update on the news ways to declare your cell phone usage with the CRA. We’re joined by Kali Readwin to discuss how a few companies are ditching self checkouts, and Tom Lee from IT World Canada drops by to chat the newest developments out of the Canadian International Auto Show.We also discuss the Amazon pull out of New York, the end of NASA’s Opportunity Rover Mission on Mars, and Apple’s newly announced TV service. The End of an Era, Amazon, Your Cell & the CRA & More! This week on Get Connected, Apple is going to war with Facebook and Google! Mike Agerbo and Graham Williams talk weird and wacky cell phone patents and innovations we’ve been seeing in the tech world, Gwyneth Paltrow’s new streaming series based on her brand Goop, and Facebook recruiting teenagers to gain access to information - and what Apple is doing to stop it. We’re also joined by Founder and Director at Netcoins, Michael Vogel, to learn about the Quadriga Currency Exchange commotion, and what that means for bitcoin owners in Canada.We also discuss bitcoin safety, the top tech news of the week, and how Energizer has launched 26 new phones at the Mobile World Congress. Bitcoin, Mobile World Congress, Apple at War & More! This week on Get Connected, Mike Agerbo and Graham Williams chat about what we may be seeing from our favourite franchises, now that many copyrighted properties are entering into the public domain. We’re also joined by Igor Bonifacic from MobileSyrup.com to discuss new innovation coming out of Samsung. Naveen Rao, artificial intelligence expert at Intel also joins us on the show today to talk AI, the evolution of computers, and the possibility of an AI apocalypse.We also discuss the recent boom of interactive content, a new Disney streaming service, and the development of 5G technology in Canada. Mickey Mouse, New Innovation, Interactive Content & More!